You don’t have to be a member of our dance school to take part all I ask is that you have a few spare hours and lots of enthusiasm. I ask that students are at least 6 years old but there is no maximum age!!! So girls and boys, mums and dads, old and young come and get involved. We will be having a registration day on Saturday 7th October at 1.45pm in the Montgomery Activity Centre then from 2.00-3.00 we will be starting to learn the routine. 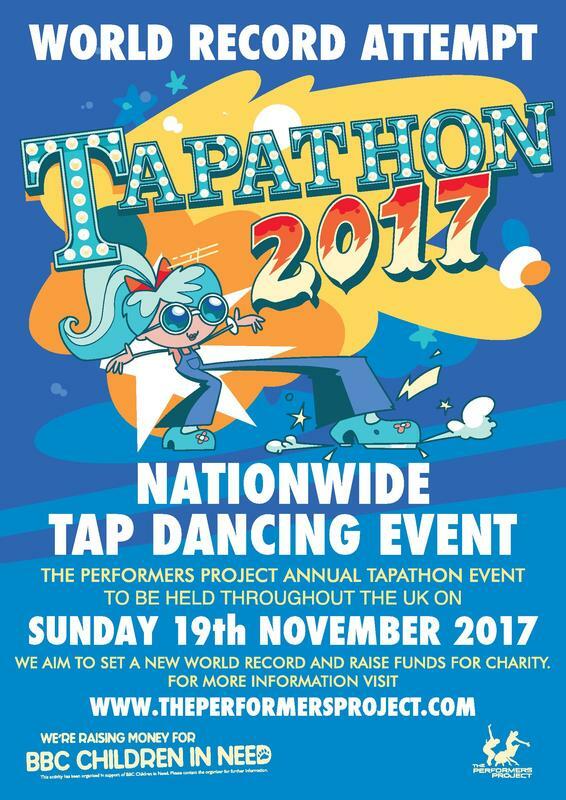 ​The official Tapathon will be at 1.00pm on Sunday 19th November at Montgomery Town Hall participants need to arrive by 12.15pm. ​Here is a link to the routine we will be performing if you would like a head start.